Australia’s first mobile Prosecco and Spritz bar has arrived in Melbourne! Melissa Brauer, a.k.a the Prosecco Queen, has been promoting the versatility and drinkability of Prosecco for many years, and hosts Prosecco master classes and other events in and around Melbourne. 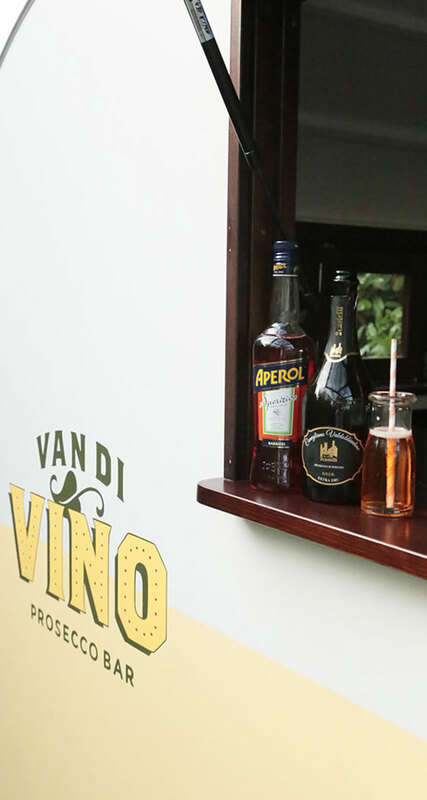 Van di Vino is a gorgeous custom-made, bonded wood vintage-style caravan, ready to serve Prosecco, Aperol Spritz, wine and beer. A single group La Marzocco coffee machine is being installed, which will be pumping out Padre coffees from the rear window. With an already established wholesale and retail wine business, marketing, PR and event management experience, and direct links to wineries both in Australia and Italy, Melissa and the team behind Van Di Vino are uniquely positioned to provide a complete end-to-end event and hire service, providing award-winning wine, glassware, staff and extras to a range of events across Melbourne and country Victoria. The van will also be available to brands wanting to promote their own products, and for photo shoots and editorials, by special arrangement. Melissa Brauer on 0402 914 201 or melissa@reginavino.com.au.